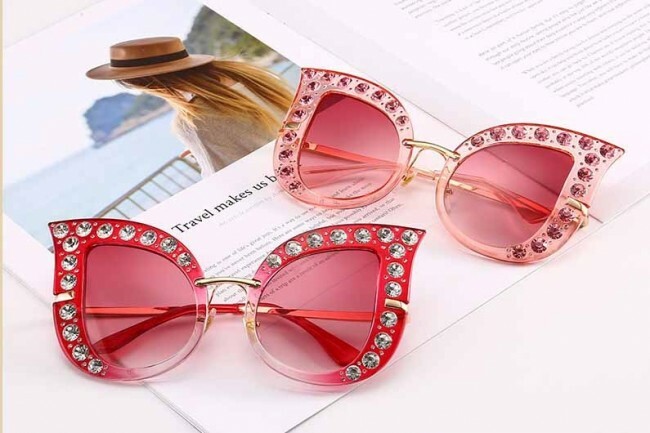 These sunglasses combine a Metal frame and Plastic lenses, which will provide full protection from harmful UV rays. Their beautiful cat eye frame is also decorated with gems for an original and bold look. And this particular pair features a gold metal frame and solid tint lenses. These sunglasses will bring style to any occasion with their colourful and fancy frame. 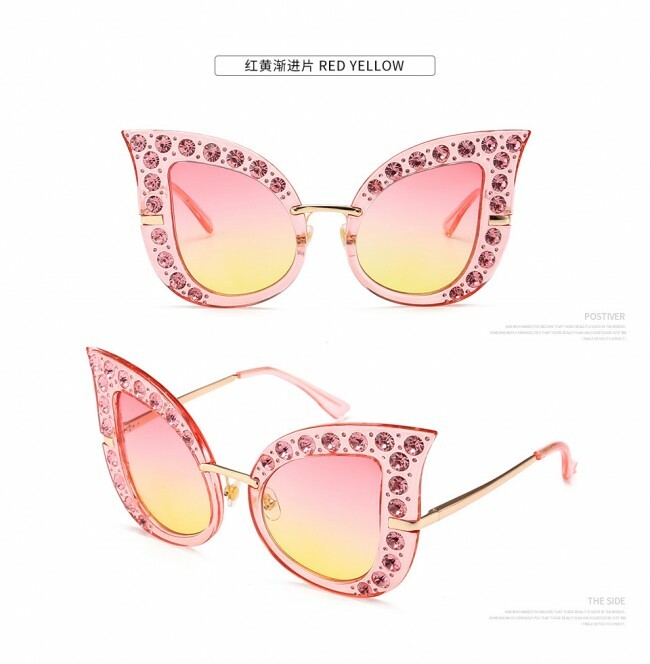 So grab your own sunglasses and be ready for the summer. 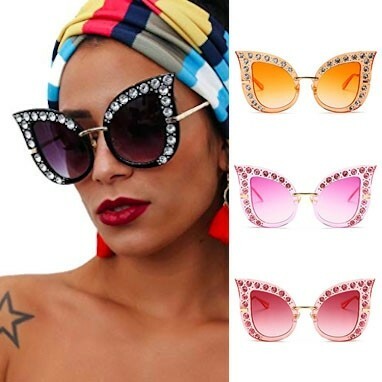 You will not want to miss out on these fantastic sunglasses. 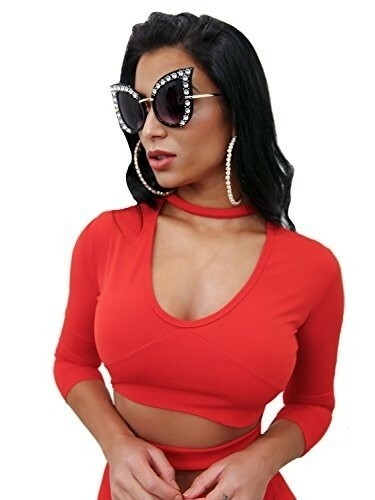 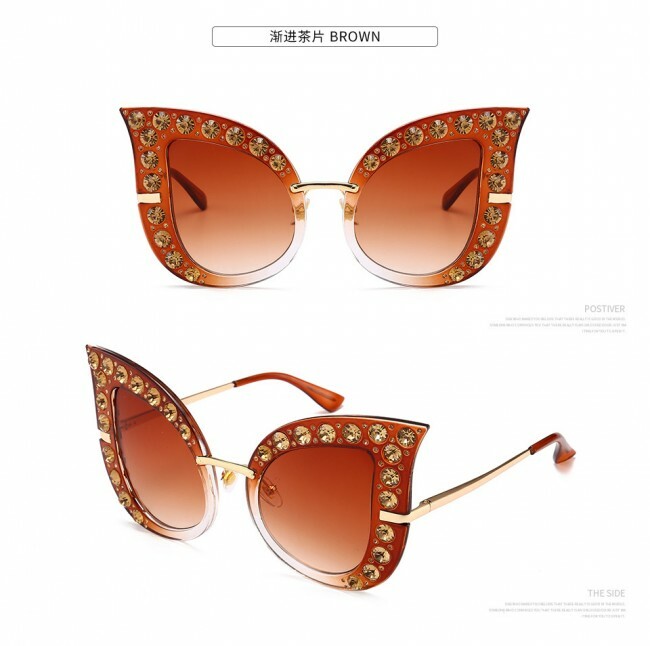 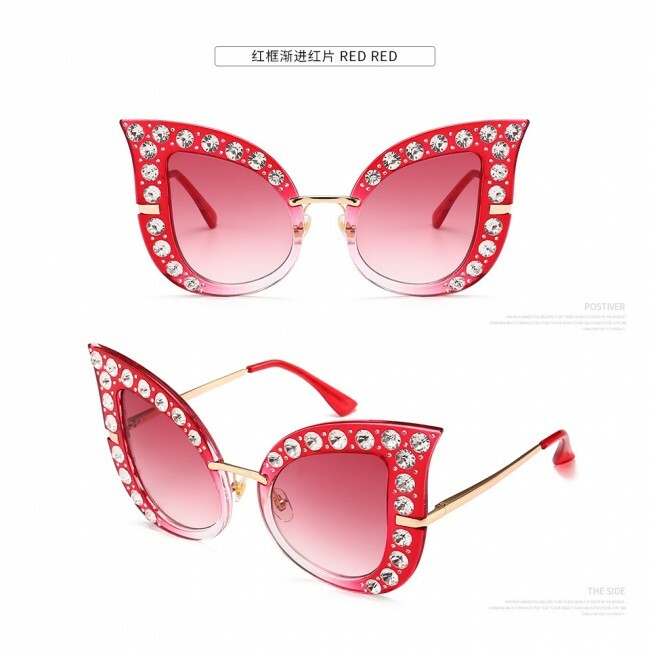 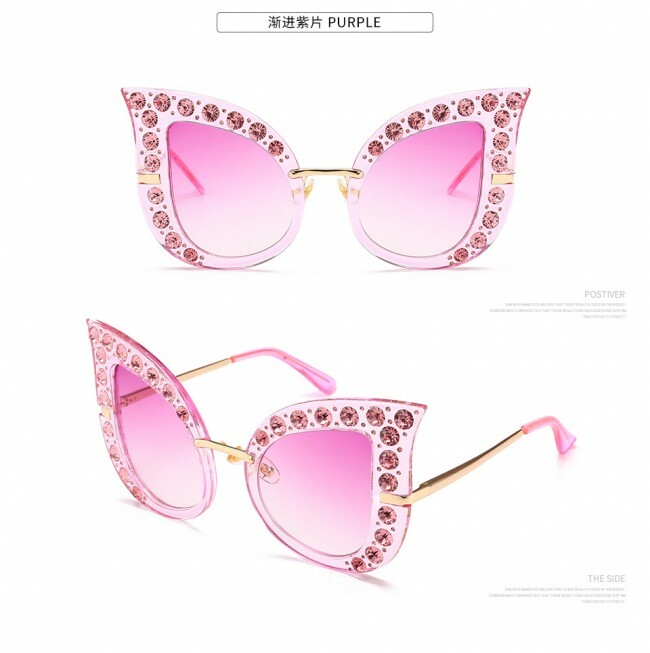 High Pointed Tip Bling Cat Eyes Sunglasses. 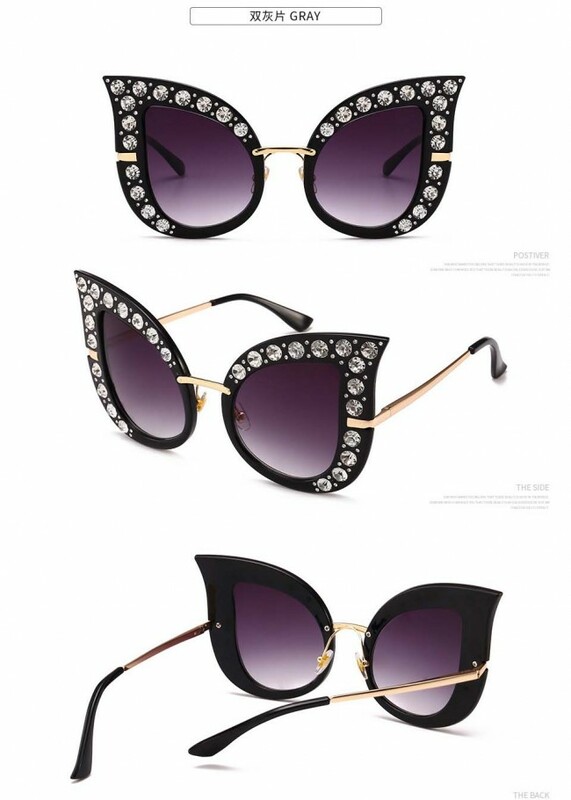 Fashion inspired cat eye silhouette frame. 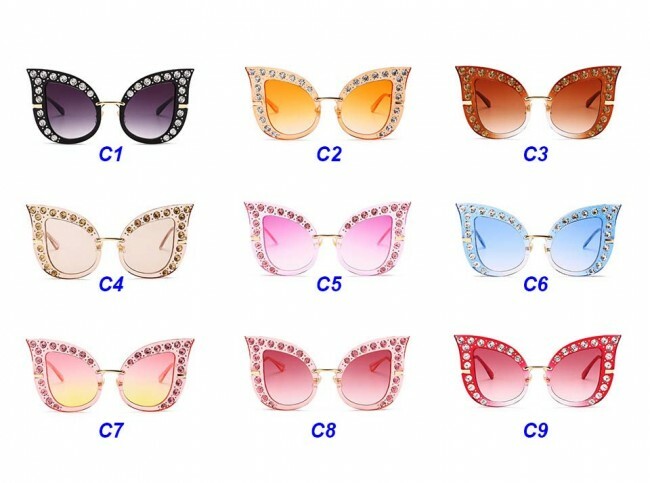 Modern bling elements in a retro cat eye shape. 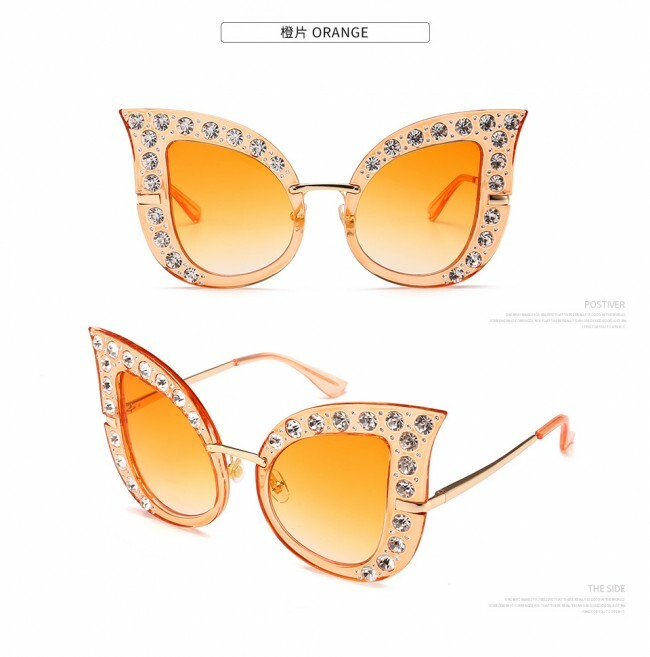 Presents a beautiful piece to this seasons collection. 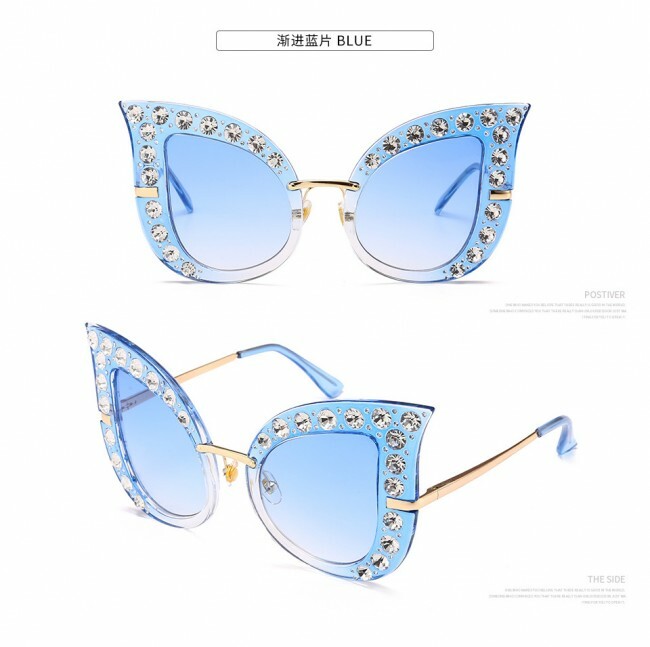 Metal hinges and UV protected gradient lenses.